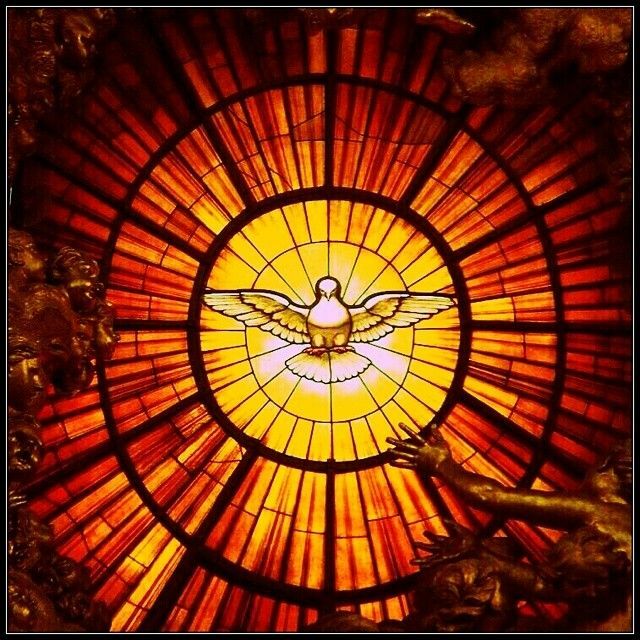 How ought we understand the Holy Spirit? Having been driven along by a gust from the spirit of the age, there are those who have argued for an abandonment of the traditional identification of the Holy Spirit in masculine terms, in lieu of a feminine Spirit. 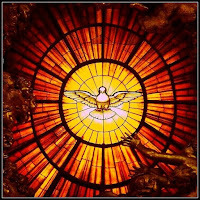 One such writer has argued that the early church redacted the biblical text so as to “cleanse” the femininity of the Spirit.Groups like the Watchtower and so-called ‘biblical’ unitarians have argued that the Holy Spirit is an “it”; the impersonal active force of God. This article is intended to be a helpful corrective for those who have sought to erroneously recast the identity of the Holy Spirit in grossly unbiblical terms. More specifically, I will demonstrate that the biblical Spirit is a “he” and a divine person who is distinct from the Father. It only follows that since the Holy Spirit is the “Spirit of God,” a phrase equally translatable as “God’s Spirit,” that the Spirit ought to be addressed using masculine terms. That is, since the Father is masculine, the Father’s Spirit ought to be understood in masculine terms as well. So too, nowhere in Scripture is the Holy Spirit ever identified using feminine language of any kind. Unfortunately for Pinnock, a noun’s grammatical gender has absolutely nothing to do with whether the referent is a male, female, or otherwise. For instance, the noun meaning “sin” (ἁμαρτία) in the Greek of the New Testament is grammatically female, while the the noun meaning “sinner” (ἁμαρτωλός) is grammatically male. The same is true about biblical Hebrew, although Hebrew does not possess the neuter gender. Thus, any argumentation stemming from the grammatical gender of a noun as a means of identifying the gender of the Holy Spirit is wrong and misguided. The name “Holy Spirit” is in itself an indication that the Spirit is a person. In the same way that there are evil, lying, or harmful spirits who are personal agents in Scripture, the Holy Spirit is personal. Moreover, when the term “spirit” is used of something other than air, wind, or exuberance (i.e., human heart or resolve), it always refers to a personal being. The most definitive texts in the New Testament regarding the Holy Spirit occur within the gospel of John. There, the Holy Spirit is identified as “another helper” (ἄλλον παράκλητον) who is sent by the Father and is therefore distinct from the Father. The phrase “another helper” indicates that the Spirit is a helper akin to Jesus Christ. This helper is the “Spirit of truth,” “who” (ὃν) “proceeds from the Father,” and it is “he” (ἐκεῖνος) who testifies or witnesses (μαρτυρήσει) of the Son. It is he of whom Jesus said, “If I do not go away, the helper shall not come to you; but if I go, I will send him (αὐτὸν) to you.” Jesus believed in a personal Holy Spirit (i.e., a “who” and not a “what”) and addressed him as “him.” Thus, when unitarians state, “It is hard for us to believe that Scripture, read without the benefit of later creeds, clearly presents the Holy Spirit as a ‘Person,’” we know that they are in need of the regenerative work of the Holy Spirit. The Holy Spirit dwelt over the “face of the waters” at the creation event (Gen 1:2),abides or dwells in mankind (Gen 6:3; Rom 8:9), “came upon” or “rushed upon” men (Num 24:2; Judges 3:10; 14:6; 1 Sam 19:20), “clothed” men (Judges 6:24; 1 Chron 12:18), stirred up men (Judges 13:25), departed from men (1 Sam 16:14), spoke by men (2 Sam 23:2; cf. 2 Peter 1:21), carried or moved men (1 Kings 18:12; Eze 3:12; Acts 8:39), is said to have caught and cast a man upon a mountain (2 Kings 2:16),instructs (Neh 9:20), warns (Neh 9:30), creates (Job 33:4), is omnipresent (Ps 139:7),leads (Ps 143:10; Matt 4:1), rests upon men (Is 11:2), gathered birds (Is 34:16), isgrieved (Is 63:10; Eph 4:30); gives rest (Is 63:14), speaks to men (Eze 2:2; Matt 10:20; Mark 13:11; Acts 1:16; 4:25; 8:29), cast out demons (Matt12:28), drove Jesus out into the wilderness (Mark 1:12), reveals things to men (Luke 2:26), descended upon Jesus (Luke 3:22), anointed Jesus (Is 61:1-2; Luke 4:18), teaches (Luke 12:12; John 14:26),gives life (John 6:63), guides (John 16:13), commands (Acts 1:2), testifies (John 15:26; Acts 5:32; Rom 8:16), fell upon God’s people (Acts 10:44; 11:15), forbids (Acts 16:6),constrains (Acts 20:22), makes elders (Acts 20:28), pours God’s love in our hearts (Rom 5:5), intercedes to God on behalf of God’s people (Rom 8:26-27),loves (Rom 15:30), searches all (1 Cor 2:10), comprehends God’s thoughts (1 Cor 2:11), gives gifts (1 Cor 12:9), empowers Christians (1 Cor 12:11), sanctifies (2 Cor 3:18; 2 Thess 2:13), has desires (Gal 5:17), builds the church (Eph 2:22), helps (Phil 1:19), vindicated Jesus (1 Tim 3:16), renews (Titus 3:5), indicates (Heb 9:8), preaches(1 Pet 1:12), and inspired Scripture (2 Pet 1:21). Taylor, Patricia. The Holy Spirit: The Feminine Nature of God, (New York: iUniverse, 2009). Pinnock, Clark. The Flame of Love: A Theology of the Holy Spirit, (Downers Grove: Intervarsity Press, 1996), 14-15. See Matt 28:19. There, the phrase is treated as a proper name as it is throughout Scripture. E.g., Judges 9:23; 1 Sam 16:4; 1 Kings 22:21; Matt 12:45; Luke 7:21; Acts 19:12. See Danker, F. W. Ed., A Greek Lexicon of the New Testament and Other Early Christian Literature 3rd Ed., (Chicago: Chicago Univ. Press, 2000), 832-836. Buzzard, Anthony, Hunting, Charles, The Doctine of the Trinity: Christainity’s Self-Inflicted Wound, (New York: International Scholars Pub., 1998), 225. Mark 3:29; cf. Luke 12:10. ...watch out for those who cause divisions and create obstacles contrary to the doctrine that you have been taught; avoid them. For such persons do not serve our Lord Christ, but their own appetites, and by smooth talk and flattery they deceive the hearts of the naive. The devil aims to deceive the naive, to create and nurture divisiveness and stumbling blocks contrary to the sound doctrine once for all delivered to the saints. He aims to achieve this through “smooth talk” and “flattery.” And as it was in the time of Adam and Eve, so it has been with the enemies of God ever since. It behooves us, therefore, to not be ignorant of the enemy’s trickery. The first part of this series dealt with broader rhetorical tricks. This second part will deal with the attacks of antitrinitarians in subtler detail. To do this, though, we must return to the beginning of Scripture and see how the devil operates. The serpent does not begin his discourse with an assertion, but with a question. Questions do not imply anything. Therefore, Eve could not have validly inferred the serpent’s intended goal for using an interrogative. Asking a question does not imply that one is ignorant, after all. Nor does it imply that one desires an answer. The motives of a questioner are indecipherable apart from understanding either one’s context or the nature of the questioner. An unknown questioner who does not explain himself presents a problem to the uninformed.